One-story brick and concrete warehouse, light manufacturing facility, with some offices and display rooms. Warehouse contains contractor, woodworking shop and offices. Photographic studio and offices. On-site parking for 5 cars. 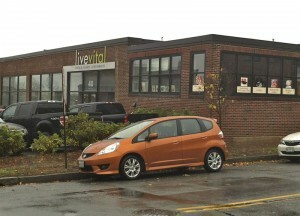 Located in historic Gorhams Corner, two blocks from Portland Square and Canal Plaza office complexes, and Old Port area. Small businesses and residential.